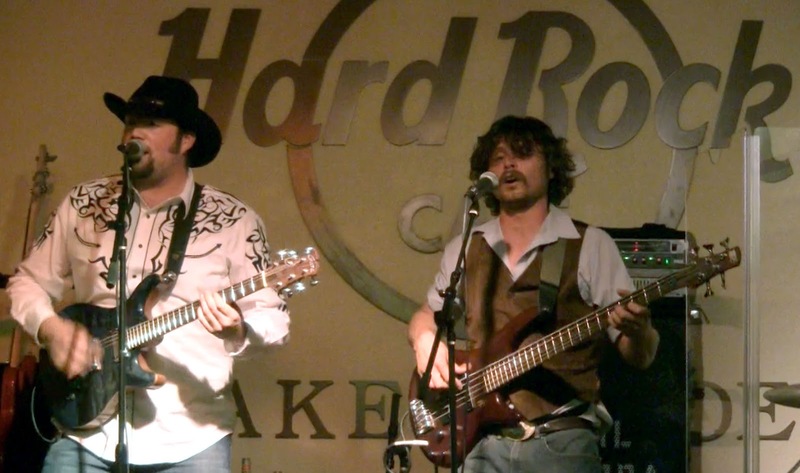 The Hard Rock Rising global battle of the bands is a worldwide competition of over 1200 unsigned bands from the area of +Hard Rock Cafe outlets around the world. 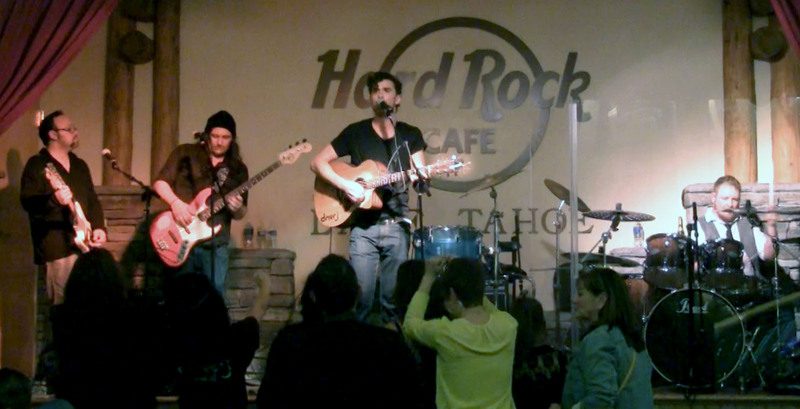 Lake Tahoe's competition drew a dozen competitors to its month-long competition and it boiled down to 3 bands competing for the prize at this event hosted by +Dreu Withu : +KrosphyerMusic, +denver j band and Sil Shoda. According to event host Dreu Murin, judges were looking for "Musicianship, Voice Talent, Originality, Stage Presence, and of course," the all important category of "Fan Reaction". 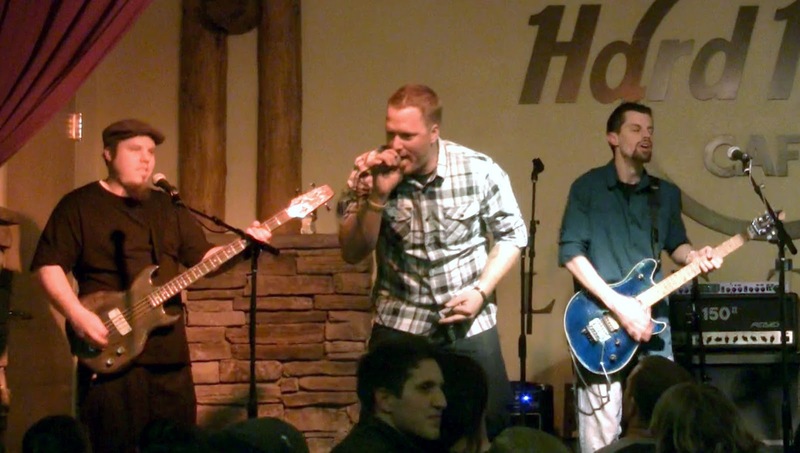 The first band of the night was hard rock / metal band Krossphyer, of Gardnerville, NV. With a sound vaguely reminiscent of 3 Doors Down and the early 2000s ozfest scene, Krossphyer was the obvious fan favorite of the night. Singer Brett M Allen ably worked the jazzed crowd, while guitar player John Kumanski showed off his obviously well practiced guitar skills. Event Judge Tom Davis noted this popularity, stating: "I don't think anyone's left in Gardnerville, they're all up here. I watched each one of you perform and every one of you gives it 110%... the way to sum this up is: Powerful." or @Krosphyer on twitter or like them on facebook here. With a sound that judge Bryson Roatch found remeniscent of "Matchbox 20 meets Hootie and the Blowfish" Sacramento, California's The Denver J Band was a good break from the heavier sound of the rest of the night. Drumming along with drummer Matt Remenar proved a major crowd-pleaser, but the truly distinctive thing about the band were the tight harmonies between singer Denver Saunders and bass player Grayson Roberts. 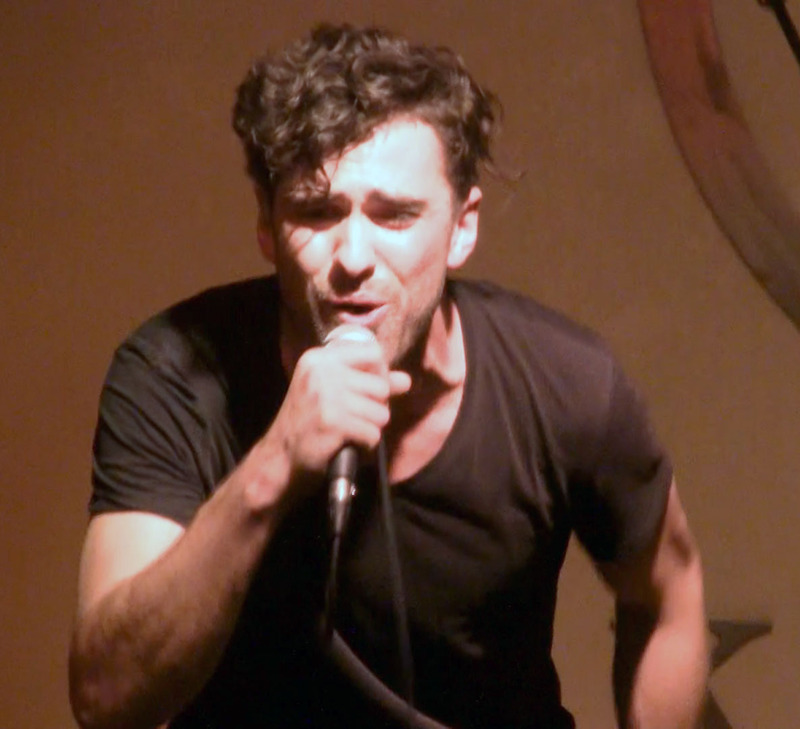 +Denver Saunders had his star-power on full blast that night, delivering a sparkling performance on the vocals as he showed off his songwriting talent in a set featuring some of the cleverest lyrics and tightest harmonies of the night. Bryson Roatch continued: "I wanna say, keep up the dual harmonies, that's tight. Keep up the drumming with the drummer, that's super tight, you know, that's exciting." 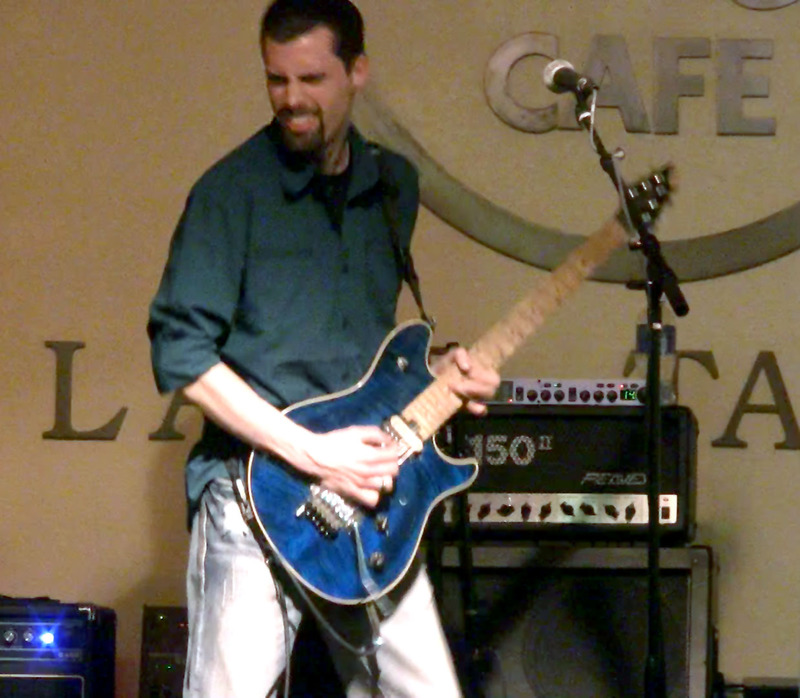 You can hear more of the Denver J Band at their Reverbnation page; follow +denver j band on Google+ or @dnvrj on twitter. The Denver J Band's latest album "A Real Good Book" is available on iTunes and Google Play. 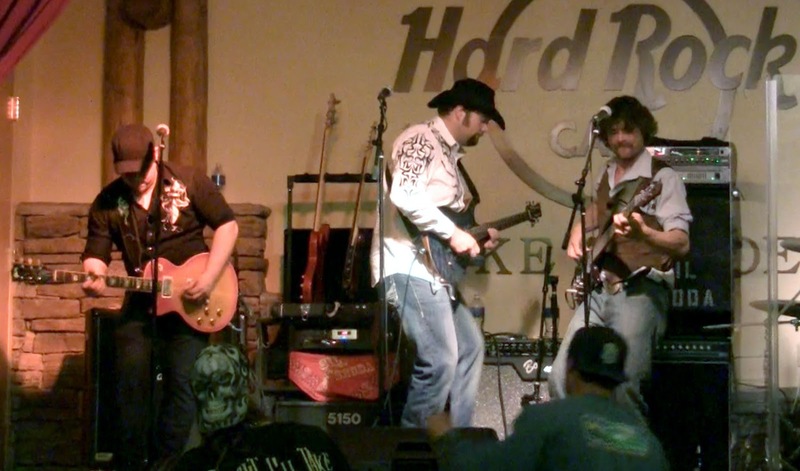 Reno, NV outlaw country / southern rock band Sil Shoda was founded in 2008 and has been together much longer than most of the other bands in the competition and it showed in their amazingly polished performance. Judge Steve the Pirate immediately noticed the attention to detail: "I've got some southern boys here, we got Wyatt Earp on vocals here using a Coors Light bottle for slide guitar... Such a tight nit group, you guys are so polished as a band that it's rediculous. You guys got the look going on for you, you guys got the crowd interaction, you had a story for each song... You had me sold at the first song." You can hear more from Sil Shoda at their Reverbnation page or friend them on Facebook or on Twitter @SilShodaBand - Sil Shoda's latest album "Aces and Eights" is available on iTunes.